Potters Fields Park is located at the centre of London, on the south of the Thames river. One can have an awesome view of the Tower Bridge, the Thames river, The Tower of London, The Glass Dome, the "Gherkin" and HMS Belfast. There are a few open areas facing the river where you can enjoy calm strolls on the lush green grass and the riverside. It has got a world class standard and Loads and loads of people visit this place and walk on it each day. It also consists a park which is very refreshing, clean and safe. You feel very relaxed here especially when you come here for a break from your tedious, fast and stressful work life. This place has been created by Gross Max, who are landscape architects and have made this place for private contemplation and public activities. World famous plants man, Piet Oudolf created the silent walkways, lush green grasslands, beautiful garden and the huge trees. Your mind is tend to become very peaceful after a visit to this place. There are various ways to extract the peaceful juice from this place. You can either get a book and read it while lying on the grass, or have a snack at the cafe or stroll along with your girlfriend or get your family for a picnic or just be there alone and feel the joy of peace. Potters fields park will have London Bridges walk again in 2011. The most awaited event will be perfectly held at this location because of the picturesque view of the Tower Bridge and The Thames. Every year loads of people join this walk with their family and friends and this walk covers London's most famous bridges. You get to meet Kidney patients and their families. All the supporters wear purple T-Shirts. This walk is special because once you take part in it and complete it you get a feel of achieving something and you can capture those moments for life in photos. There is no age limit for this walk and you get to see very beautiful and world famous structures like The London Eye, Big Ben and The Tower of London. The official website will be making announcements of The Thames Festival in the coming summer. This is also a very refreshing event and it is advices that you attend it. The 20011's The Mayor's Thames Festival will take place on 10th and 11th of September. London Rat race is back again for the year 2011. This would include Street running competition on Saturday and 9 to 5 biking Adventure on Sunday. According to many the London Rat race is the best urban adventure challenge in the world. This includes access to the most renowned venues in the UK, mixture of adrenalin, adventure and action. London being the rat race, will be turned into a huge ground of sport and adventure. To hire the park you will have to provide a summary of the event / activity that you plan to organize in the park along with the event dates. Then if the activity is suitable and the dates don't coincide with any other event dates, then a fee amount will be decided and a deposit amount will be taken bby the trust. To discuss about the facilities and technical requirements, such as, electricity, water, toilets etc..., an initial meeting is held during the initial phases of the planning of the event. 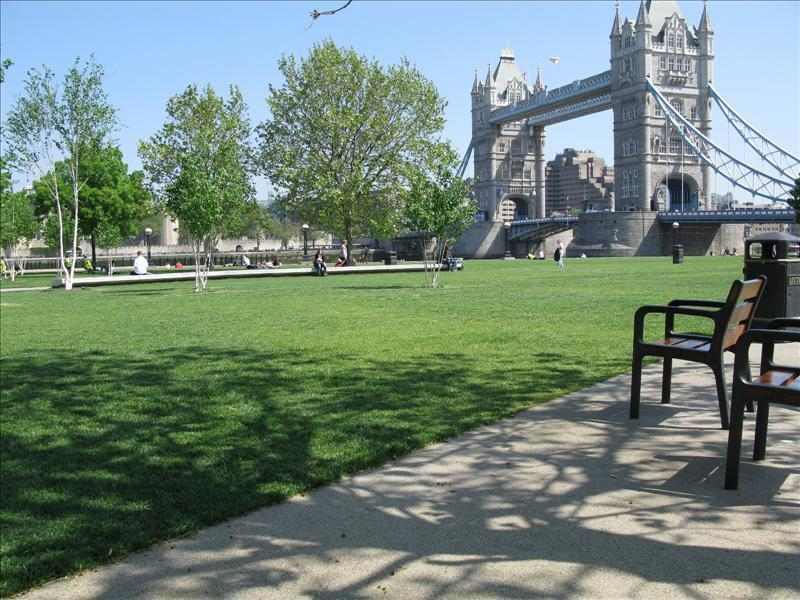 You can get further information about hiring Potters Fields Park, from the official links to the relevant forms.